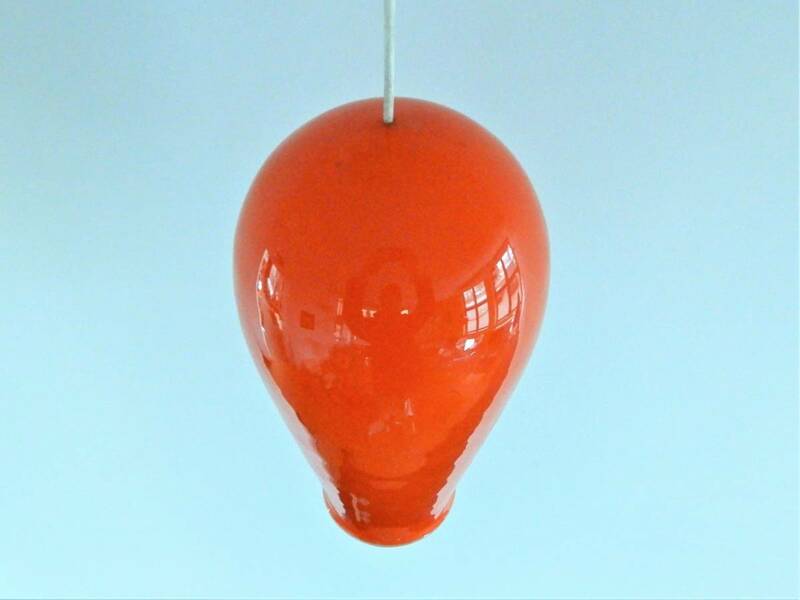 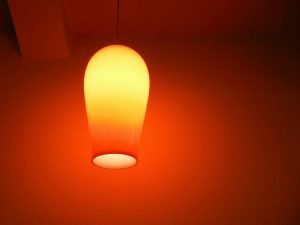 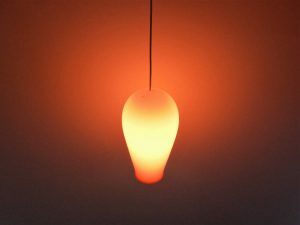 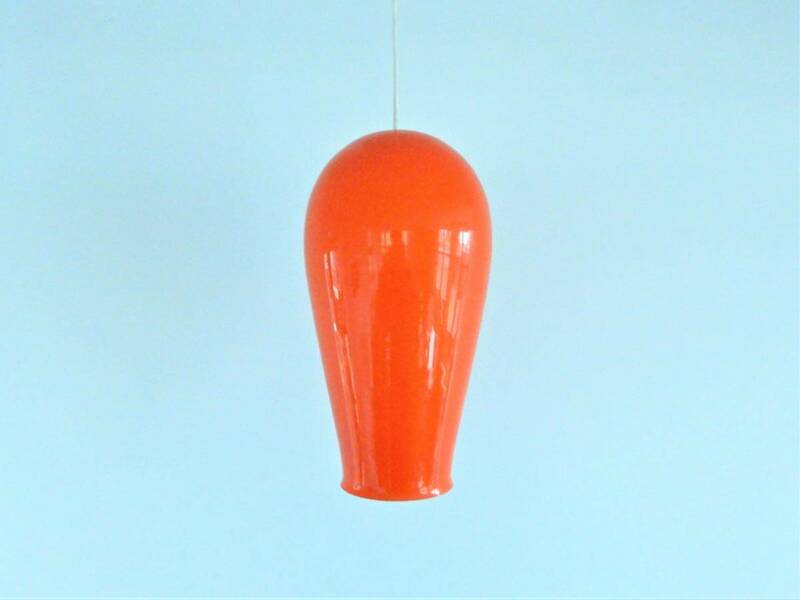 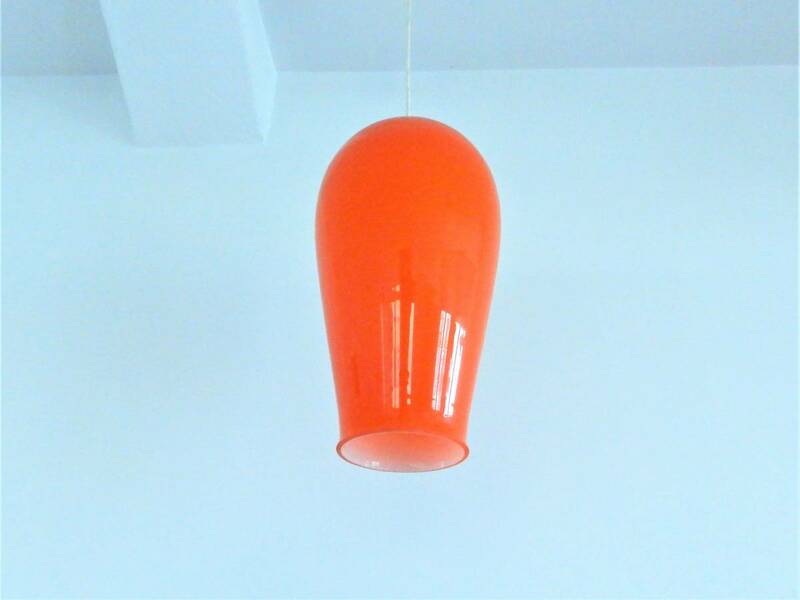 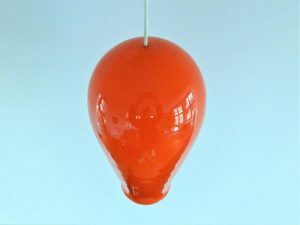 This is a very nice orange glass pendant lamp in an elegant shape. 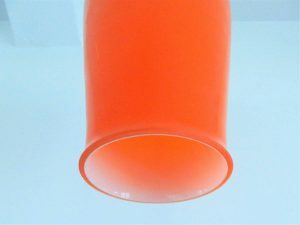 The opaline white inside gives a beautifull soft light. The origin of this lamp is unknown to us. 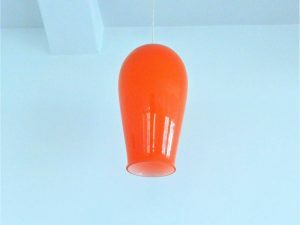 The hanging system is like some italian lights, but we are kept in the dark on this. 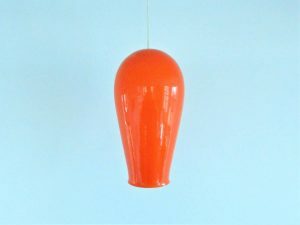 The lamp is in a very good condition with minor signs of age.